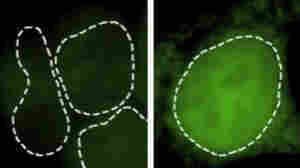 July 28, 2011  Researchers have developed a new technique that enables them to track RNA, a chemical cousin of DNA, by making it glow green inside of cells. This will allow them to monitor previously invisible chemical reactions and learn more about how cells work. July 22, 2011  The study in question claimed that genetic tools could be used to predict people's likelihood of living to 100. The researchers made an honest mistake, but some say the publishing of the paper underscores a bigger problem. 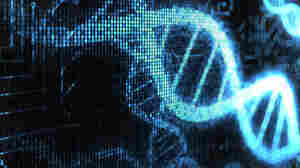 July 21, 2011  Two independent teams of researchers have come up with the most accurate genetic maps ever made — a feat that should make the search for genes associated with disease much easier. 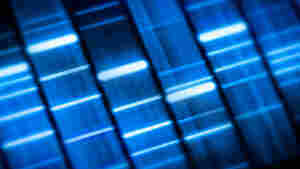 Scientists hope it will help particularly with the study of diseases that disproportionately affect African-Americans. 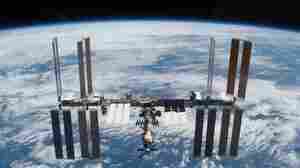 July 18, 2011  After more than a decade, major construction of International Space Station is complete. Scientists are now hoping that the next decade will be a golden age of research aboard the orbiting outpost. 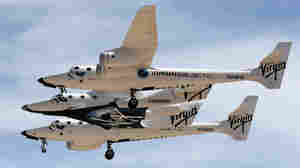 But with no American shuttle to transport astronauts and experiments, even simple logistics will be a major challenge. July 15, 2011  Several private companies are developing spacecraft that will take anyone into space who wants to go, provided they can pay for the ride. But the challenges of commercial human spaceflight are as much about laws and regulations as they are about technology. 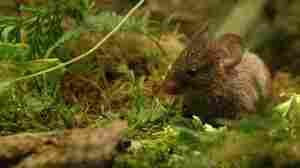 June 20, 2011  Like birds and whales, some male mice make sounds akin to singing to attract females. "The more we search, the more we find that rodents and other small mammals produce vocalizations," one researcher says. Fish also "sing" to influence a female's behavior. All Pumped Up: Can Stem Cells Fix Human Hearts? 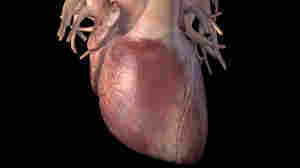 June 13, 2011  Regenerating functioning heart cells has been a goal of medicine for more than a century. There are stem cells in our hearts that regenerate heart tissue — they just do it at a glacial pace, not nearly fast enough to make repairs in the event of an injury. Now, scientists are trying to juice up those cells so they can repair damage caused by heart attacks. May 31, 2011  Spirit was designed to last only 90 days and travel less than a mile on Mars. Instead, it kept chugging along for more than six years, taking thousands of photos and exploring nearly five miles. 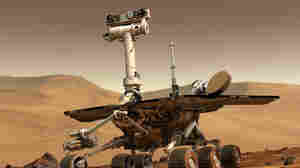 The rover has been silent for more than a year, and NASA says it has now abandoned hope of hearing from it again. May 3, 2011  Amborella is the first known flowering plant and, like the platypus, a genetic dead end. Selaginella's relatives are the fossils in fossil fuel. 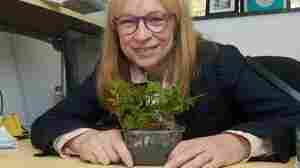 Now, scientists are studying the genes of these plants, looking for clues about evolution and compounds that might be applied to medicine or agriculture. 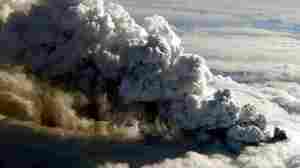 April 25, 2011  The tiny ash particles from the volcanic eruption in Iceland last year could have scratched windows and condensed in engines, causing equipment failure. Thousands of travelers were stranded when authorities closed European airspace. April 19, 2011  Humans are not nocturnal animals, and our internal clock is designed to keep us alert during the day and asleep at night. So willpower and good intentions may not be enough to keep you awake when your body is telling you it's time to sleep. April 9, 2011  Radiation is a scary thing. It is invisible and its effects on the human body are not completely understood. But many people overestimate the risk of radiation exposure, especially when it comes to nuclear power. NPR's Joe Palca in Tokyo has been thinking a lot about the public's perception of radiation. April 5, 2011  "Safe" isn't a defined engineering term. Planners must decide, based on risks and probabilities, how safe they want to make something — whether it's an airplane, bridge, or nuclear power plant. 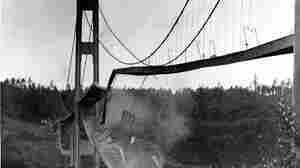 But sometimes it's hard to estimate exactly what the likelihood of a particular calamity might be. 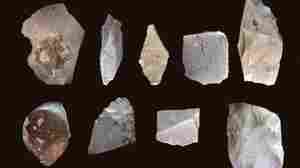 March 25, 2011  A newly excavated site in central Texas contains evidence that the first human settlers in the Lone Star state arrived more than 15,000 years ago — that's more than 2,000 years earlier than scientists originally thought.